« The Jaboticaba – what is it? Medlars – a good source of scionwood? Can anyone recommend a UK source for scionwood of medlar varieties other than Nottingham or Royal? I’m interested in trying to graft some of the less common varieties this winter and build up a little collection of these unusual fruits and so trying to do a bit of research now. I live on Guernsey – to which, alas, some nurseries do not ship plants and this is one of the reasons I’m questing scionwood. Fruit Forum: The National Fruit Collection, Kent has a small collection of medlars – four varieties. They will supply scionwood. Your problem is that you live on the lovely island of Guernsey which has the priviledged status of being a fireblight free zone. 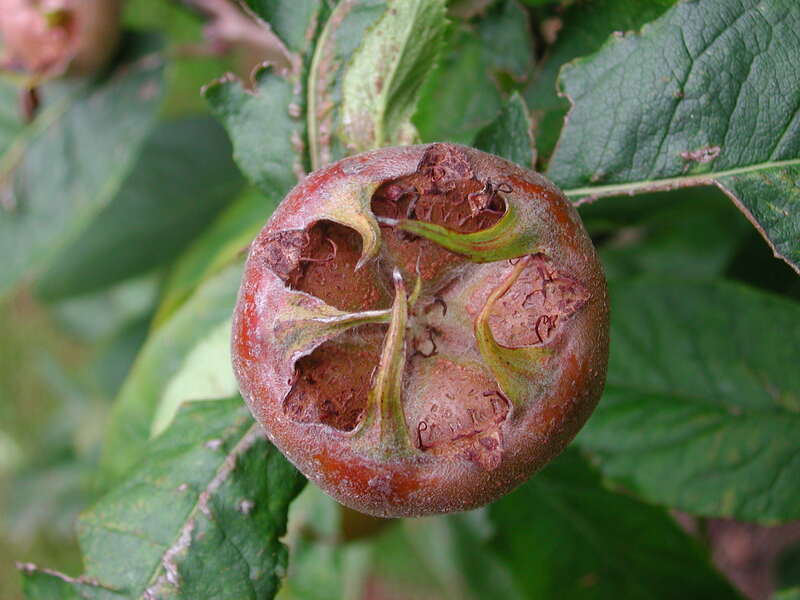 Medlars are very susceptible to fireblight. Suppliers need to have what is known as a buffer zone status – ie they and an area of at least 50 square km around them have to be tested free of fireblight – to export any material (trees or graftwood) to Guernsey. We have nearly 20 different varieties of medlar at Keepers Nursery but unfortunately we do not have buffer zone status and would not be allowed to supply any graftwood to you in Guernsey.